Apple is intending to begin production on their rumored electric car project “as early as 2020”, according to a new report from Bloomberg. A separate report form The New York Times mentions that Apple’s electric car project is currently in “prototype phase” and corroborates the rough team size of 200 people, many of which come from organizations which “specialize in battery and automotive technologies”. The Bloomberg story mentions that Apple has been offering lucrative salary packages and hiring bonuses to Tesla employees who leave to join the company. A separate report today from 9to5mac detailed a number of new hires at Apple who are apparently working on the car project. 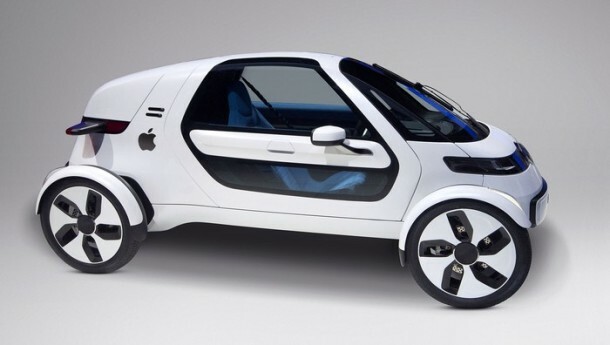 The rumors of Apple working on an electric car have come as a surprise to many. It’s important to remember that, even though very reliable news organizations including The Wall Street Journal, Reuters, Bloomberg, and Financial Times, are reporting about an Apple electric car, the story remains just that, a rumor. A car is so far out of Apple’s current business model, but it’s a great idea. A car is expected to last 10-20 years these days, so you make a single large purchase and it lasts a huge amount of time, does that sound like Apple? Not really. They want you to upgrade every year or two at most. Think iPhone, where batteries fail, the hardware slows with a second iOS update, and you run out of space, can you imagine that with a car? Many Hondas and Toyotas from the 90’s are cruising no sweat with 200-300k miles and minor maintenance, can Apple really compete with that? Or will they compete with the European model of cars that are expensive and fancy but break down constantly after 40k miles are lightly tacked on then to require extensive expensive maintenance? And does that mean Apple will hire Apple mechanics? How reliable is the Tesla, perhaps that is a better indicator of the potential with an Apple Car? This would also mean Apple would need to create showrooms for cars, beyond the Apple Store. With test drives. And what’s the price point? If it’s Apple, it’s luxury, so minimum 50k for a base model like a 3 series BMW? Maybe up to 150k for what would compete against an S Class Mercedes? I think that’s likely, and I guess that means I wouldn’t ever buy one the same way I wouldn’t ever buy any other brand new luxury status car. I’m quite happy with the trusty Japanese engines that keep on cruising, trouble free, with nothing but a few oil changes every year. But I’m obviously not the market for an Apple Car, or a solid gold Apple Watch. Another conspicuous consumption item for those with more money than they know what to spend it on, perhaps. Quite gauche, to me. You sir, are obviously not an Apple product owner. Everyone that I know (including myself) owns Apple products far longer than their non-Apple counterparts. My iPhone 4S is 4 years old! Still works great, battery is still great. My droid using friends are on their 2nd and 3rd phones in the same time that I have been using my 4S. My iMac at home is the 2006 version, still runs great (although I am stuck at Mac OS Lion due to the 32 bit Intel board – Apple was doing 64 bit long before Intel). My wife’s iPod is 6 years old, still works great. My Apple Airport Express’s are over 9 years old. They have never failed. They have run 24-7 the whole time. My Apple iPad2 is several years old and still works as good as the day I bought it. Better actually, since it has gotten software upgrades that have brought additional functionality. Most of the people I know replace non-Apple hardware far more frequently than Apple hardware is replaced. Apple gear may cost slightly more at purchase but the total cost of ownership is definitely less. Plus it is a joy to use. 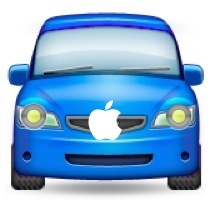 If Apple does a car, it will be good, and it will last. And the used Apple car will hold it’s value due to its build quality and long life. But that was the dream that Steve Jobs had – let’s hope that Apple keep the dream alive. Cutting-edge instruments and monitoring systems. Spokespeople scheduled: Doc and Marty. Gentlemen, I bring you … The Apple iDelorean. Prepare for removing the picture labelled as The Onion. This is Volkswagen concept “Nils”. A Chinese made car with a buggy OS? Umm I am not so sure it is a good idea!